Bandicam is a powerful screen recorder for Windows that allows you to capture and record video games as well as your screen activities on a system. The free multimedia application lets you record any program which uses DirectX/OpenGL graphic technologies. The audio/video player includes two modes, namely screen recording mode and device recording mode. With screen recording mode, you can capture anything that is displayed on your PC such as Internet streaming videos, flash games and other Windows programs. On the other hand, the device recording mode lets you capture visuals from a webcam or an HDMI device. Bandicam for Windows enables you to take several screenshots and save them into PNG, JPG or BMP file format. The screen recording software supports output formats such as AVI and MP4. The application lets you upload the recorded files to YouTube into MP4 format. There is an auto complete recording mode that allows you to set a limit to the video capture process. In addition, the screen capture utility supports a real-time drawing function that enables you to draw lines, boxes or highlights while recording. One of the best things that make this Windows software more convenient is its intuitive and user-friendly interface that comes with a variety of configurable settings options. The game recording tool lets you select the number of frames per second, frequency and bitrate. Moreover, you can also select the audio (PCM and MPEG-1 Layer II) and video (XviD, MJPEG and MPEG-1) codecs. 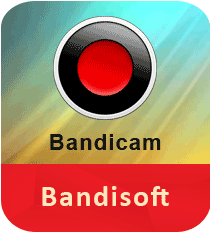 Download Bandicam to start recording anything on your PC screen with great ease. > Supported video codec: MJPEG, MPEG-1, XviD, etc. Bandicam is a simple yet efficient video recording tool that is designed to record and capture anything on your system screen as high-quality video. The PC games program lets you record a video with high compression ratio while keeping the visual quality closer to the original. The utility is quite useful and is easy to use for both novices and power users alike.